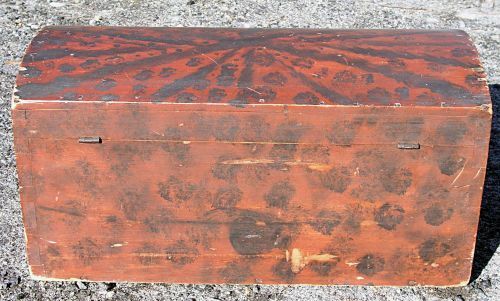 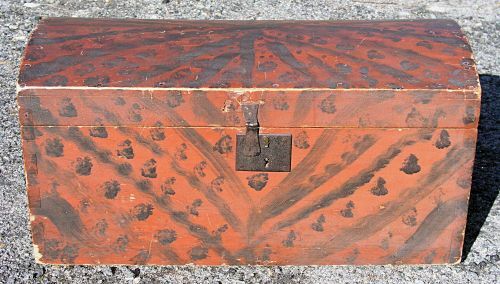 1830`s New England dome top box decorated in Red and Black paint with a dry undisturbed surface. 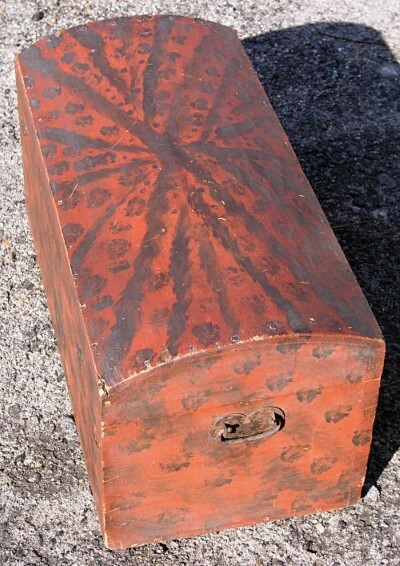 Has some expected wear mostly to surface edges but nothing that takes away from the box. 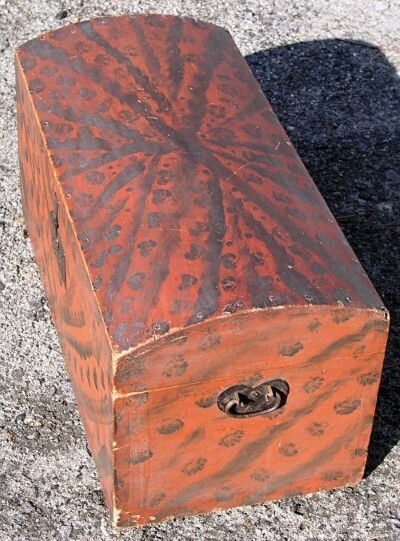 Has Wrought Iron Heart shaped handles original latch clasp hinges and is very clean inside and out.